ERACCE won the ISAAC Ally of the Year Award at the banquet, for its support of the ISAAC “Racial Healing & Action Service” in September, its powerful presentation at the ISAAC Issues Convention in October that led to anti-racism being chosen as a top priority of ISAAC, and its transformative trainings all year round on “Understanding and Analyzing Systemic Racism” that many members of the 24 congregations and organizations in ISAAC have taken. The Vote YES for Kids Steering Committee won the ISAAC Public Ally of the Year Award, for its constructive collaboration and highly successful, creative campaign to change the fact that 1200 children in public schools throughout Kalamazoo County have been homeless each year. State Rep. Jon Hoadley received the award for all the partner organizations who were committed to the vision that “All children deserve a place to call home” and who won passage of the $5 millage allowing the Kalamazoo County Public Housing Commission to give housing help, beginning this fall, to families with school children. 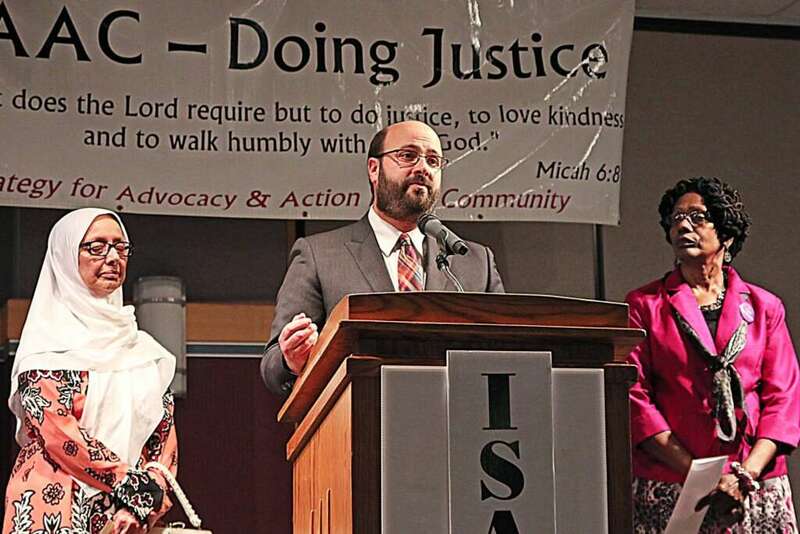 First Congregational Church UCC won the ISAAC Founders Award for its very generous support for the work of ISAAC “to build a more just community.” Pastor Nathan Dannison was an ISAAC organizer before completing his Master of Divinity degree and becoming the pastor at First Congregational. His congregation shares his passion for “the Beloved Community” that Dr. Martin Luther King, Jr. spoke and wrote about. Ms. Wendy Flora from Christian Church – Disciples of Christ, won ISAAC Leader of the Year for a long list of leadership roles, including co-chairing the ISAAC Youth Violence Prevention Task Force. She was the one who asked David M. Kennedy to speak at the ISAAC 2012 banquet about his Group Violence Intervention approach, called a miracle in other cities. His staff said no, but Wendy persisted and got a yes. 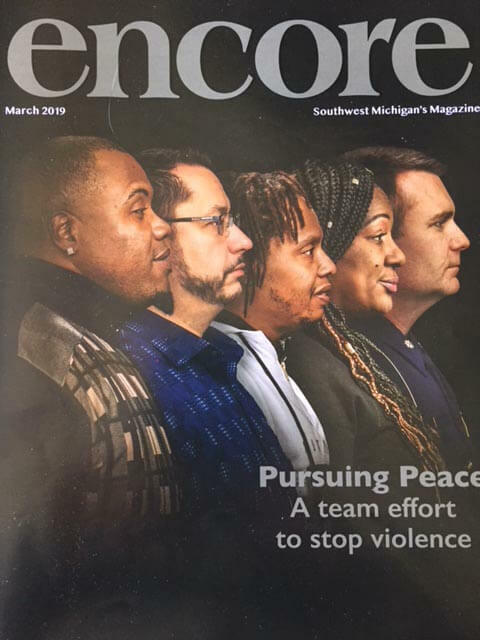 Since then the task force has worked closely with community leaders and the Kalamazoo Department of Public Safety on implementation, and thanks to the Gilmore Foundation and the Kalamazoo Community Foundation, funding has been granted this spring for training officers and community leaders in this collaborative approach to giving at-risk youth a better path.